(16/P104) TRENTON – As part of its ongoing efforts to improve air quality in New Jersey, the Christie Administration is launching a grant program with more than $3 million in available funding to help owners of off-road construction equipment install pollution-control devices or replace this equipment with newer models, Department of Environmental Protection Commissioner Bob Martin announced today. 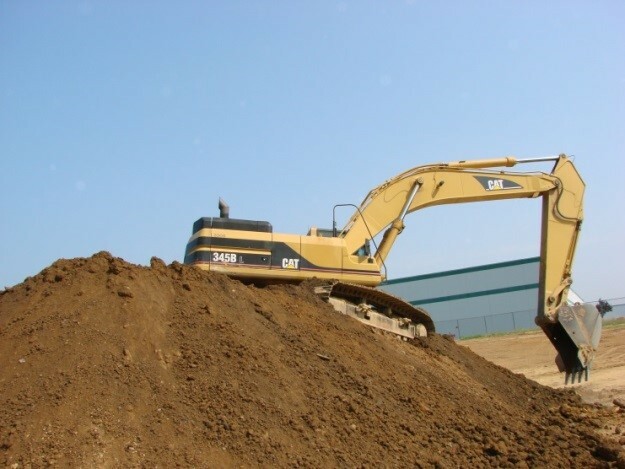 This is the first time the state has undertaken such a comprehensive effort to help owners reduce emissions from off-road construction equipment such as excavators, backhoes and bulldozers by voluntarily retrofitting or replacing this equipment, a significant source of harmful soot particles and nitrogen oxides. The DEP is funding the New Jersey Clean Construction Program grants using money from a variety of sources including the federal Environmental Protection Agency and the Federal Highway Administration via Congestion Mitigation & Air Quality (CMAQ) funds. The DEP has already assisted municipal, county and state agencies retrofit thousands of school buses, public and private commercial buses, and publicly owned on-road and off-road vehicles. The DEP also implemented a pilot program to reduce diesel emissions from construction vehicles at state construction sites. Grant money for the commercial off-road construction vehicle retrofit program can be used for the full cost of a diesel-emissions control system retrofit or up to 30 percent of the cost of replacement equipment, not to exceed $100,000. The Christie Administration has now nearly completed the retrofit of nearly 10,000 school and transit buses, as well as 1,300 garbage trucks and more than 2,000 pieces of diesel-powered equipment owned by government entities. Exhaust from diesel engines is particularly harmful to public health because it contains fine particles, or soot, that is smaller than 2.5 micrometers (or 1/30th the width of a strand of hair) that can be inhaled into the deepest part of the lungs, where these toxins can enter the bloodstream. Scientific studies have shown that inhalation of fine particles can cause a wide range of health problems, including asthma, bronchitis, cancer and premature death. Furthermore, this program provides incentives to the construction industry to remove from service equipment that emits a high level of harmful pollutants but otherwise might not be replaced for many more years. Eligible applicants must use their equipment in New Jersey at least 50 percent of the time. Any off-road equipment that is replaced using funds provided under the program must be taken permanently out of service and scrapped. Applications will be reviewed on a first-come, first-served basis until funding has been depleted. In addition to reducing emissions of fine particles at construction sites, the program will also benefit the environment and public health by reducing emissions of nitrogen oxide, a pollutant that contributes to the formation of smog, also known as ground-level ozone.